Stop Following Your Nose & Follow The Profits Instead! We know, every time you’re caught walking through a mall, you do the Cinnabon jerk with your whole body. 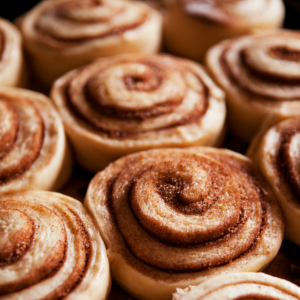 The sudden act of sticking your nose in the air and inhaling deeply the sugary buttery goodness that is the aroma of Cinnabon. Well, we’ve got news and bad news. The bad news, goodness pretty much stops at the smell with Cinnabon. What’s the good news? It’s understandable that the idea of a yummy Cinnabon is great, but we’ve got something better: Co-Marketing. Imagine developing a network with businesses that complement your own for a virtual space in which collective sharing for content and more is fostered and encouraged. That sounds pretty sweet. Not so sure? Here’s are a few reasons why you’ll be following your better judgment to Co-Marketing instead of just following your nose to sugary sweet regret. Anyone knows it’s hard to resist when your body craves the right alchemic mix of bakers’ magic. When the Cinnabon has its grasp in you, it can be hard to get out. There is no judgment because you can’t escape the allure of something like the Cinnabon, so what can you do to take your mind away from that place? For starters, let’s start thinking about how about how delectable it would be if you woke up every morning to more people finding their way to your small business. Wouldn’t it be even better if you had the opportunity to work with like-minded businesses? Of course! Co-Marketing is about long-term satisfaction instead of short-term viscous upset, so bet on Co-Marketing vs. “just one more” bun every time. No Weight Gain, Just Visibility! You don’t need all that! The best thing with Co-Marketing is that there is no guilt associated with the satisfaction of sharing your ideas, blogs, content, and knowledge with someone else. Co-Marketing is built for sharing, so it always feels good. Let’s face it, do they ever give you enough napkins at Cinnabon to help you combat the icing that will eventually find it’s way to your hands, face, and even friends hands? We don’t think they do either. Why don’t you leave all that behind. Use your hands for what they were intended for, which is helping make connections and spread the word about your business all around the virtual globe. You don’t have to Go Anywhere To Find Co-Marketing- Just Sit At Your Computer. Then all you have to do is follow this link to: It’s Not What You Know But Whom You Know: Co-Marketing & The Future Of Content. This article explains in detail what Co-Marketing is, why it’s essential, and how you can get started with BoostSuite and set up your Co-Marketing account today. There is no reason you should ever have to hide your face in sweet syrupy shame again. Hold your head up high and show people the progress you’ve made in the business world, not in the food world.